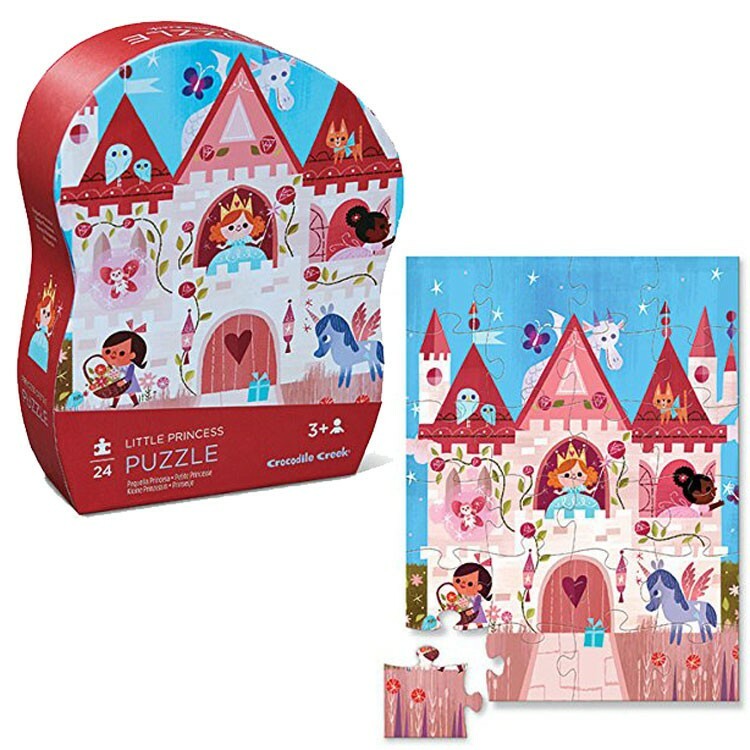 The royal princess castle illustration is so artistic that this 24 pc jigsaw will become a great place for the Little Princess on the puzzle and your young princess' imagination! 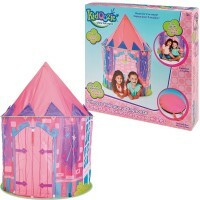 Girls will be thrilled to build their own fairytale princess castle on the floor or tabletop of their play room. 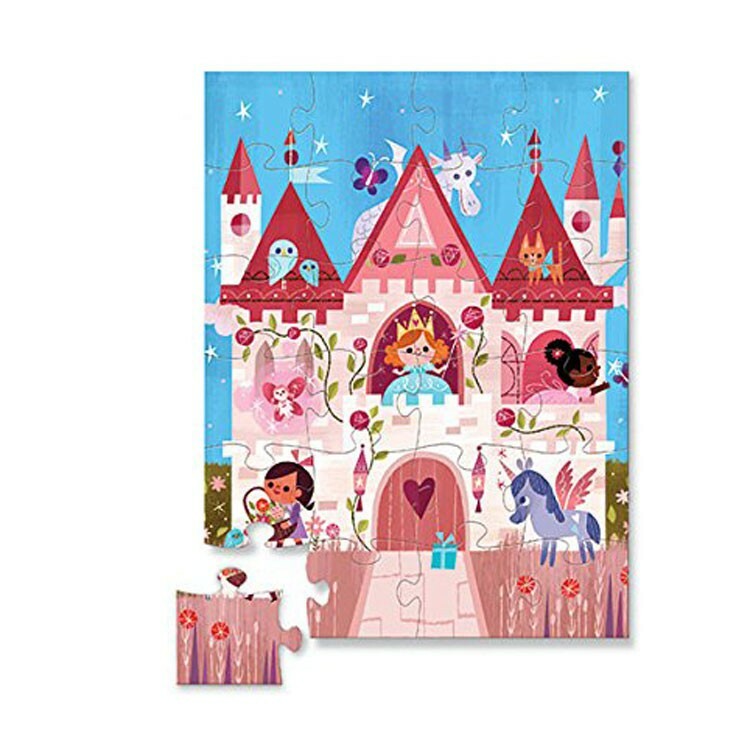 The royal princess castle illustration is so artistic that the jigsaw will become a great place for the little princess on the puzzle and your young princess' imagination! 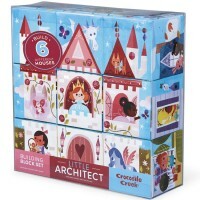 Little Princess Castle 24 pc Puzzle in in Shaped Gift Box by Crocodile Creek features a beautiful image, great quality cardboard jigsaw pieces, and unique presentation in a curved gift box. 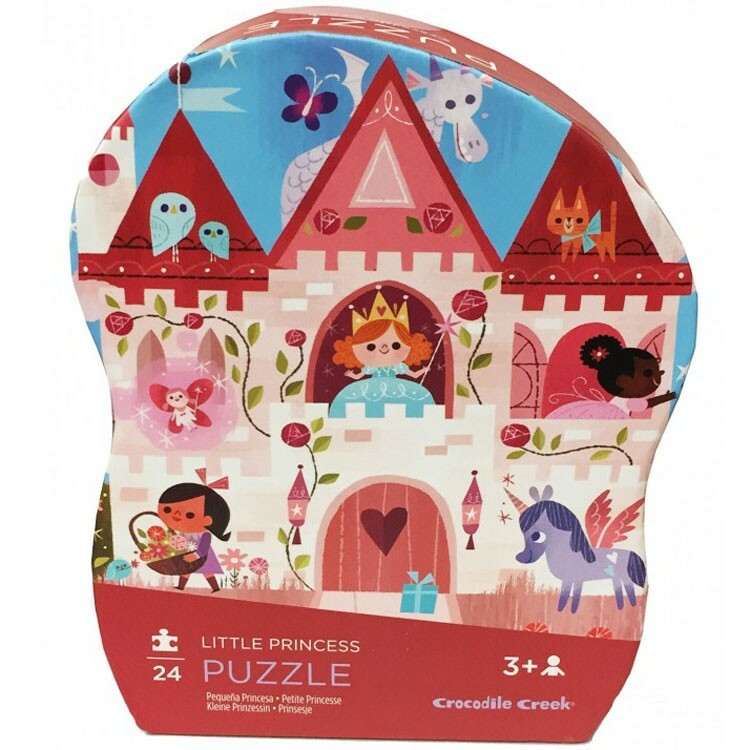 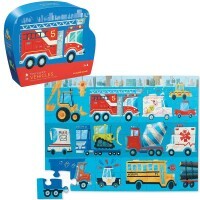 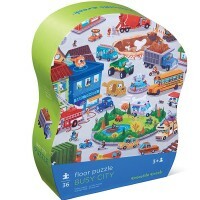 The princess castle floor puzzle from Educational Toys Planet includes 24 large pieces and come in a sturdy contoured gift box that is perfect to store the puzzle pieces. 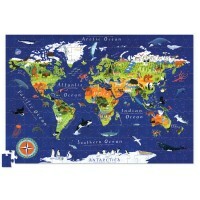 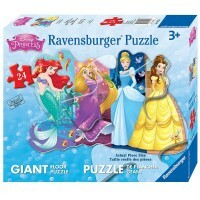 The finished princess palace jigsaw puzzle measures 11 x 15 inches. 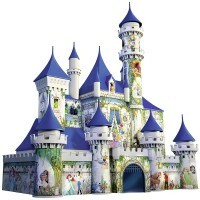 The Little Princess Castle 24 pc Puzzle in in Shaped Gift Box makes a great birthday or holiday gift for girls. 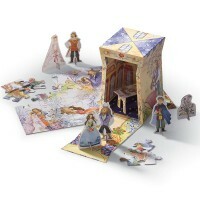 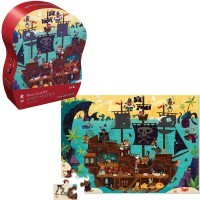 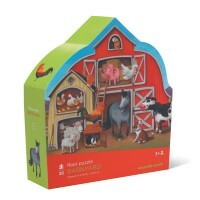 Write your own review of Little Princess Castle 24 pc Puzzle in in Shaped Gift Box.